Is it good to gift money to a child in Christmas? Money makes the world go around but is it something that kids understand? Even if you have a really clued up child, you should be careful not to let them run before they can walk with money. Is giving a child cash for Christmas a good idea? If you’re thinking of giving money to your child, following these simple rules will make things easier for you and your little one. The place that the cash goes is the most important thing to consider. 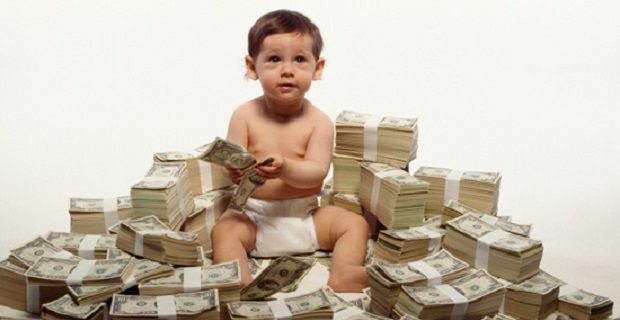 Giving cash to a kid isn’t a great idea unless you’re going to put it into a children’s savings account. Something like the Halifax Kids’ Regular Saver account will do the job. This account, and other similar accounts, offer a fixed interest rate for a 12 month period. With this sort of account you need to put cash in each month so you’ll need to manage the Christmas cash for the 12 month period. Banks like Lloyds and building societies like Halifax offer children’s savings accounts that provide 3% interest. These accounts offer instant access for young savers and you can deposit anything between £1 and £20,000. You might find that the account you’re interested in is only available if the parent or guardian has a bank account which is linked to the kid’s account. Kids are entitled to income tax allowances in an identical way to adults. That means that depending on their income they may or may not have to pay tax. Be aware that if you give money to your child and it produces income of more than £100 a year, the interest amount earned will be subject to income tax, and you the parent will have to face that liability not your child.